A police vehicle was burned while scores of people were injured yesterday in Wuse 2, Abuja, during the violent protest by members of the Islamic Movement of Nigeria (IMN) otherwise known as Shiites. The police in a statement last night said 400 persons had been arrested in connection with the protests that started at the weekend. The adherents of the Shiite sect have since Saturday engaged security operatives in bloody confrontations in protest against the continued detention of their spiritual leader, Sheikh Ibrahim El-Zakzaky, by the Department of State Services (DSS) without regard to the several court orders asking for his release. They have been gathered from all over the country for the past three days for the observance of the annual Arbaeen religious trek. 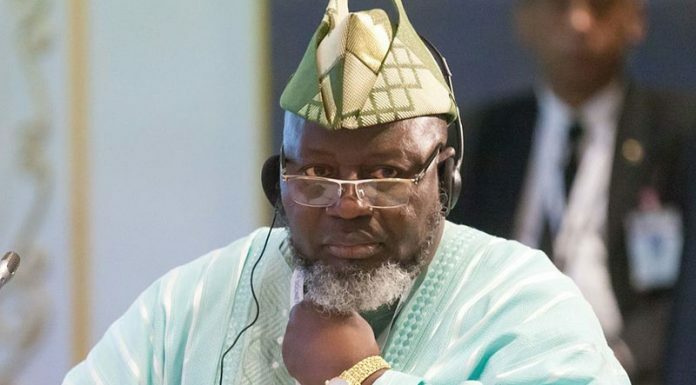 The crisis has resulted in a heavy toll since it started, with about 20 followers of the sect reportedly fatally shot in clashes with soldiers in Zuba, Nyanya and Kugbo areas of Abuja. Yesterday, the unrest turned bloody in Wuse 2, Abuja, with several persons injured after policemen fired live bullets and used teargas to disperse the Shiite procession through the heart of the nation’s capital. Many of the protesters and some members of the public, were injured as a result of the flare up. 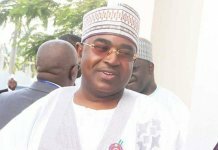 We gathered yesterday that the members of the Islamic group were marching towards Abuja Central Business District, before they were intercepted by a joint team of the police and soldiers. The sect retaliated by pelting stones and other objects at the security operatives. 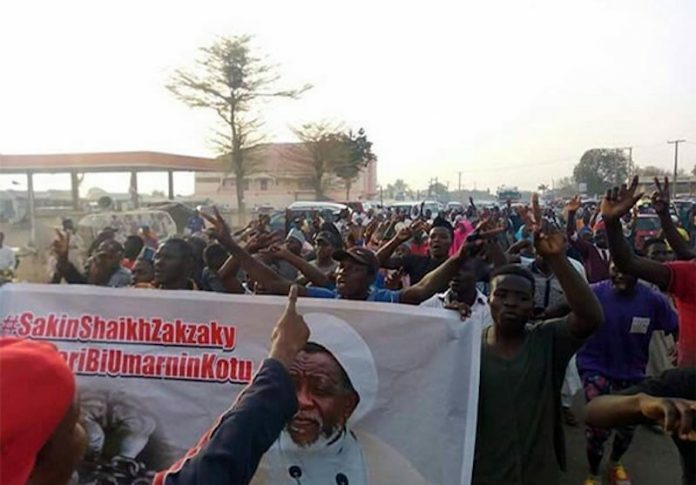 Meanwhile, the police disclosed last night that no less than 400 members of the Islamic Movement in Nigeria (IMN) were arrested in the third day of their protest in Abuja. Meanwhile, the Inspector General of Police, (IG), Ibrahim Idris, has condemned what he described as unprovoked attack on police personnel and the setting ablaze of a police vehicle by the sect during their protest yesterday in Abuja. Consequently, Idris directed a total clamp-down on the perpetrators, thorough investigation and prosecution of the members of the El-Zakzaky Islamic Movement of Nigeria, now in police custody. A statement by the Force Public Relations Officer, DCP Jimoh Moshood, last night in Abuja, said, Commissioners of Police in states with presence of El-Zakzaky Islamic Movement Groups are now on Red-alert to deal decisively in accordance with the law and prevent the group from causing breakdown of law and order in those states. The statement read, “Consequent on the disturbance of public peace, unprovoked attack on police personnel and the setting ablaze of police vehicle in the Federal Capital Territory (FCT), Abuja today, 30th October, 2018 by members of the El-Zakzaky Islamic Movement of Nigeria, the IG, Ibrahim K. Idris, has placed the Commissioners of Police and their personnel in states with presence of El-Zakzaky Islamic Movement on Red-alert. “They are to deal decisively in accordance with the law with the sect and prevent the group from causing breakdown of law and order in those states. Moshood added that 400 members of the group arrested yesterday for disturbance of public peace and law and order in the FCT as well as the burning of police vehicle, and those arrested with 31 bottles of petrol bombs and other dangerous weapons, now in police custody, will be arraigned in court on completion of investigation for acts and offences prohibited under the Terrorism Prevention Amendment Act 2013. He stressed that the Force would not condone lawlessness and disturbance of public peace by any group(s) under any guise that runs contrary to the constitutional provisions and other enabling laws on preservation of law and order and protection of lives and property of all Nigerians. While urging residents of the FCT to be vigilant and go about their lawful engagements without fear or apprehension, as the situation has been fully brought under control, Moshood warned that the full weight of the law would be applied on perpetrators of violence and lawlessness that can lead to breach of the peace, and law and order anywhere in the country.